The Russian natural gas champion Gazprom intends to substitute the cancelled South Stream project by the newly introduced Turkey Stream Pipeline project to supply the Mediterranean countries. On December 2014, President Poutine decided to stop the far advanced South Stream project pipeline as a result of Ukraine tension between Europe and Russia. Due to cross the Black Sea from Russia to Europe through Bulgaria, the South Stream project was supposed to supply natural gas to the southern countries of Europe without passing by the highly sensitive Ukraine. In August 2014, Bulgaria decided to stop the work in progress for the construction of the 930 kilometers South Stream pipeline as declared not-conformed to the European Union regulation since Gazprom should be the sole operator and gas supplier of this connection. In addition Bulgaria is already 100% dependent on the Russian gas, so this project would have increased its reliance on this country. 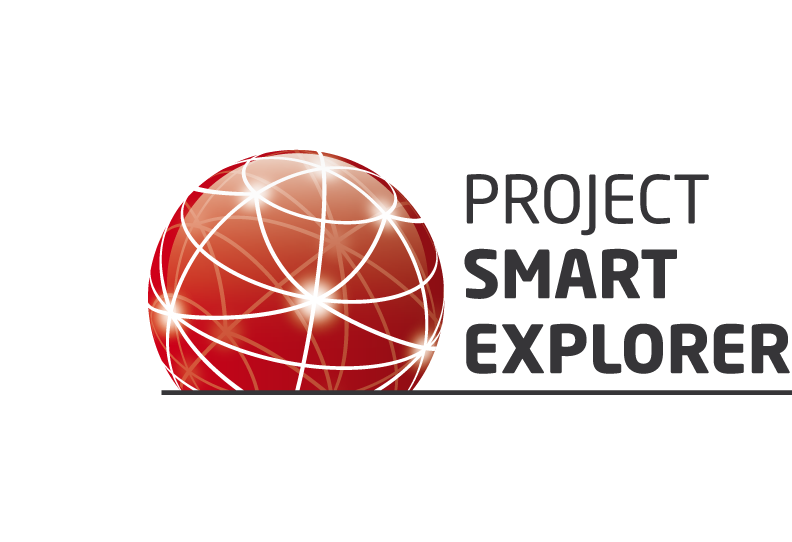 In parallel, Europe is looking at west where on the other side of the Atlantic, North America is building up pipelines and liquefied natural gas (LNG) terminals infrastructures to export the shale gas in competitive conditions. In response to the European policy, Russia has decided to stop the South Stream project and to explore alternative markets with the Turkey Stream Pipeline project. Since February 2003, Russia supplies gas to Turkey through the Gazprom operated Blue Stream pipeline and Western Pipeline. With a compression station located in Beregovaya on the Russian side of the Black Sea, the Blue Stream pipeline delivers 16 billion cubic meters per year (bcm/y) of natural gas directly to Turkey. In parallel the Western Pipeline provides Turkey with 12.5% of its needs, but through Ukraine. All together Russia represents more than 50% of Turkey gas supply. 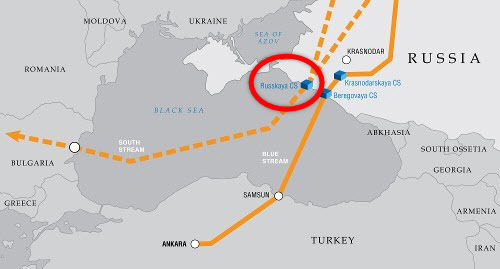 In this context, Gazprom creates a new company called Gazprom Russkaya to build and operate a third connection with the Turkey Stream directly crossing the Black Sea. It should start from Russkaya, along the Black Sea in the Krasnodar Territory, where Gazprom is already working on the construction of the compression station that was due for the South Stream project. The Gazprom Turkey Stream Pipeline project is designed to transport 63 bcm/y of natural gas to Turkey. 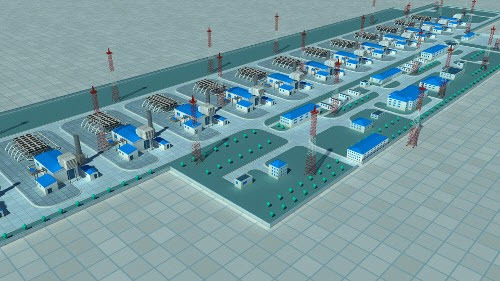 The Russkaya compression station should have a power capacity the 448MW. From this 63 bcm/y capacity, 14 bcm/y should be consumed in Turkey while the remaining 49 bcm/y will be available to be exported to Europe through Greece or to alternative Mediterranean markets. The connection from the Turkey Stream Pipeline to Europe is still to be defined as it should require a natural gas hub close the Greek – Turkish boarder. Considering the delay accumulated by the South Stream Pipeline project before being cancelled, Gazprom is planning to build the Turkey Stream Pipeline project on fast track so that it could start commercial operations by 2017.